How can I use custom fields in my URLs to dynamically pre-fill forms? 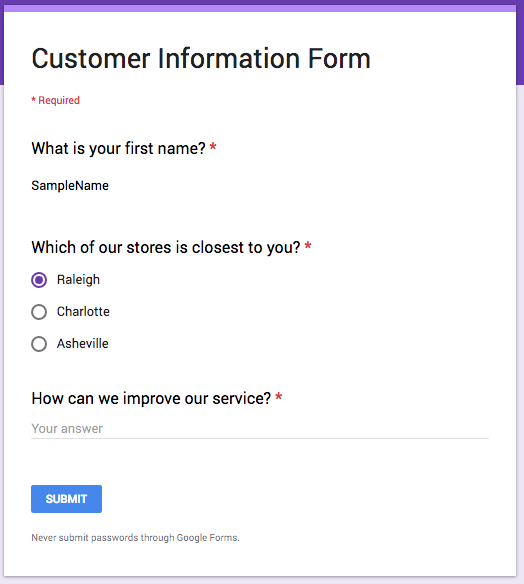 Make it easier for your customers to complete online forms by automatically filling out the questions you have the answers to. Using our Data Collection feature, you can request additional info from your subscribers. This is helpful for collecting quick data, but what if you want to send them a link to a longer, in-depth form? That's where dynamic URLs and and custom fields come in handy. How do custom fields in URLs work? Custom fields, alongside dynamic URLs, allow you to use info that you already have to pre-fill forms. This way, your customers don't have to repeat themselves. We'll walk through an example using a Google Form below. What types of info can be passed to forms using custom fields? You can include pretty much anything. Here are a few common pieces of data we've seen used in dynamic URLs. 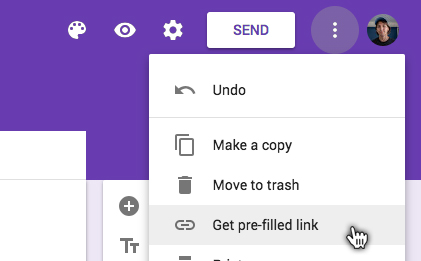 Let's walk through a step-by-step example using Google Forms. This first thing you'll want to do is create a form. Add the questions you'd like your subscribers to answer as well as the ones you'd like to have pre-filled. At the top right, click the three dots, then click Get pre-filled link. Now add sample data to the questions you'd like to pre-fill. As you can see, the custom fields have been replaced with actual information Joe provided previously. Now Google will automatically fill your form with that data. Joe is really excited that his form has been personalized just for him. 🙂 He's also more likely to provide useful feedback because he doesn't have to waste time on questions he has already answered. 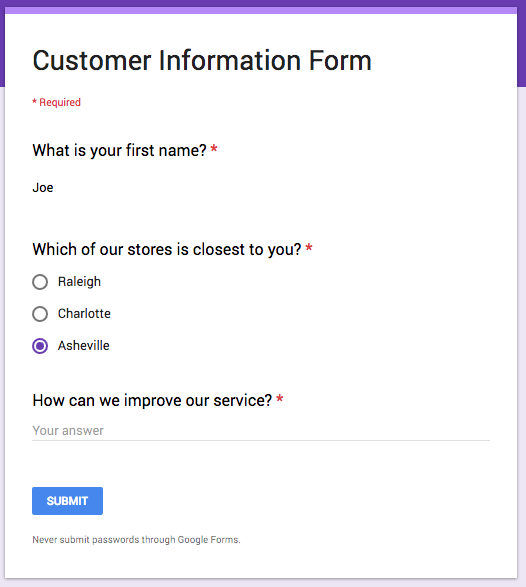 Google Forms is just one of many online services that uses dynamic fields. You can apply the same method above to your Typeform, Airtable, or any other dynamic URL.